Article from the Derry Journal. As a guest of the Chamber, digital entrepreneur Denis Finnegan will deliver an interactive workshop designed to help boost online sales leads for small and medium sized enterprises. During the ‘Grow Your Business Online’ workshop Denis will reveal techniques and digital strategies that have been tried and tested in the delivery of huge online sales gains for his clients. “I’m delighted to be invited by the Derry Chamber to provide local business leaders with an insight into how they can ignite and fue enquiries,” said Denis. Denis added: “At Finn Media we only work with one client per market to ensure maximum return in investment for each organisation in each industry. Our unique SalesBoost system assists companies which understand the importance of having a powerful online presence to generate a flow of qualified leads but who have neither the time nor digital expertise required. Put simply: we do the digital leg-work so our clients don’t have to. 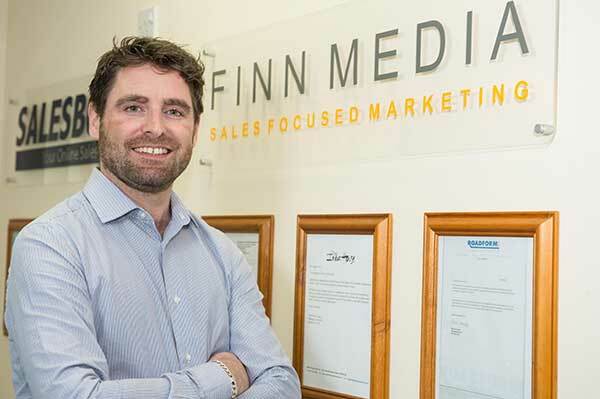 With Finn Media as digital partners business leaders can concentrate fully on what they do best; running their core business,” he said. For more information on our workshops and training, visit our training section on the website.